The 33rd edition of the award-winning N.C. Pickle Festival in downtown Mount Olive comes a bit early in 2019. The earlier date avoids a conflict with the 2019 Wings Over Wayne open house at Seymour Johnson Air Force Base. (So no excuses to attend BOTH!) 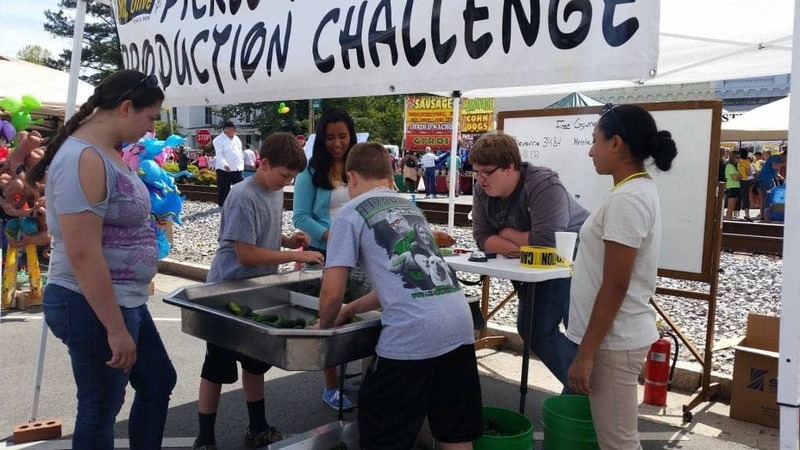 The 2019 pickle festival Main Day is Saturday, April 13, 2019 from 9 a.m. to 6 p.m. Enjoy three stages of live entertainment, classic cars, antique tractors, motorcycles, pickle art, the University of Mount Olive Artisan Village, lots of great food, and so much more! Did we mention free pickles? For complete details, go to www.ncpicklefest.org. Or look up the festival on Facebook!